One of the most enriching readings and for free. It provides specific advice on each subject: love, health, work, trips, business, relationships, money and so forth. Get it now! Love Tarot reading will help you find true love. You will be able to analyze in a better way any problems you face with your partner. The Today's Tarot will give you an idea of what your day might look like today. If you don't like what it has to say, maybe changing your mindset to something more positive or taking some sort of action will give you a better outlook. The Celtic Cross Tarot reading is probably the oldest and most popular pattern for tarot reading. It has survived so long, because the layout of the cards is simple but powerful. A strong energy has built up around this spread due to its use by so many people over the years. The Crossroads Tarot reading is generally used when the consultation is about an issue with two different ways to select when we are really doubtful about the consequences of our decisions. We all have or have had inside us unresolved feelings even though sometimes we are not aware of them. Inconveniences, difficulties and complications that sometimes are at plain sight and our subconscious refuse to see. 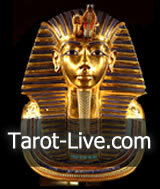 In any of these situations Hidden Truth Tarot reading is suggested. Tarot reading in favor and against shows the two different ways that a given situation has and which aspects are in favor and which ones are against it; in this way we can decide clearly where to focus our effort to realize our purpose. 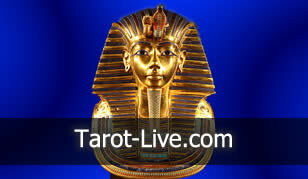 The analysis of any subject, when time plays an important role, can be carried out through this specific tarot reading. Astrology studies the position and movement of stars. Thanks to their understanding and surveillance, we can establish a relationship between what happens in the sky and what goes on in people's life. Modern astrology, rather than predicting people's " fate "or forecasting events on earth, is used as a powerful tool for the person's own process of self-knowledge. Runes is a sacred word for the northern population of Europe meaning "Secret" or "Secret Knowledge", is one of the oldest languages on the planet. Runes may be consulted in order to find answers to specific questions in a given moment. In both cases, one of the most effective, reliable and easy methods to do this, is by throwing or casting the seven Runes. The I-Ching, or Book of Changes, is the worldâ€™s oldest book and earliest known intuitive decision-making system. Based on the binary logic of yin/yang, it is used to derive personal strategy and insights based on natural wisdom -- as pertaining to human problems that logic alone cannot handle. 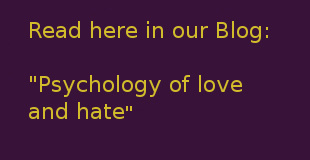 The Moon represents human psyche. The emotional body of man. Itâ€™s indicative of a person's emotions and feelings. It gives an intuitional nature, taste, youth, love of poetry, music, attractive looks and sensuality. It's influence makes one moody, emotional and highly sensitive. An Angel Reading/Consultation is an intuitive, spiritual connection with the unseen energies that surround us. Playing with these cards, it's a wonderful communication channel. In astrology, the Part of Fortune, sometimes called Fortuna, is the most popular Arabic Part. Arabic Parts are sensitive points in a chart. The Part of Fortune represents worldly success, and is associated with the physical body and health as well. It can be indicative of the career or vocation. Numbers are one of the most elevated and perfect human concepts. Numerology is a discipline that deals with the secret vibrations of an enigmatic code that we can learn to use to our own benefit. It's supersensory information that some individuals receive from beyond the ordinary five senses: sight, hearing, smell, taste and touch. It can provide individuals with information of the present, past and future; as it seems to originate in a second or alternate reality. Learn the basic meanings of Tarot reading through explanations of the Major Arcane, Minor Arcane and Court cards in Thirteen's Tarot Card Meanings. A Biorhythm (biological rhythm), It's a hypothetical cyclic pattern of alterations in physiology, emotions and/or intellect. " Bio " pertains to life and "rhythm" to the flow of regular movement.